WebAssembly.Studio is an online IDE (integrated development environment) that helps you learn and teach others about WebAssembly. It’s also a Swiss Army knife that comes in handy whenever working with WebAssembly. 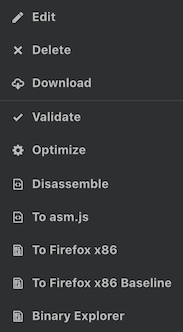 We started working on WebAssembly Studio in late December 2017, in an attempt to merge two existing tools that we had developed: WasmExplorer and WasmFiddle. Since then, thanks to several contributors who jumped into the project early, we’ve made quite a bit of progress. We’ve merged those two tools and added several new features. Our beta (more like an alpha) release is now live at https://webassembly.studio and we are very interested in your feedback. To get started with the example above, simply click Build and then Run. WebAssembly Studio first compiles main.c to out/main.wasm and then creates an iframe sandbox in which it loads main.html. The HTML file loads main.js which loads and executes the WebAssembly module that ultimately prints “Hello World”. To understand exactly what’s going on, read the README.md file included in the project. This is an example I put together to show how C programs interact with WebAPIs. Our hope is that others will put together interesting examples and use WebAssembly Studio as a teaching tool. WebAssembly Studio has basic (very primitive) support for C, C++ and Rust out of the box. At the moment, compilation services run mostly server-side but we’re hoping to do more of this work on the client. WebAssembly binary modules (.wasm) as well as text files (.wat) are fully editable in WebAssembly Studio. Try opening out/main.wasm and you’ll see the disassembled .wat output. You can actually edit this text, and when you save, the original .wasm file will be reassembled. Validate uses Binaryen to verify that a WebAssmebly Module is valid. 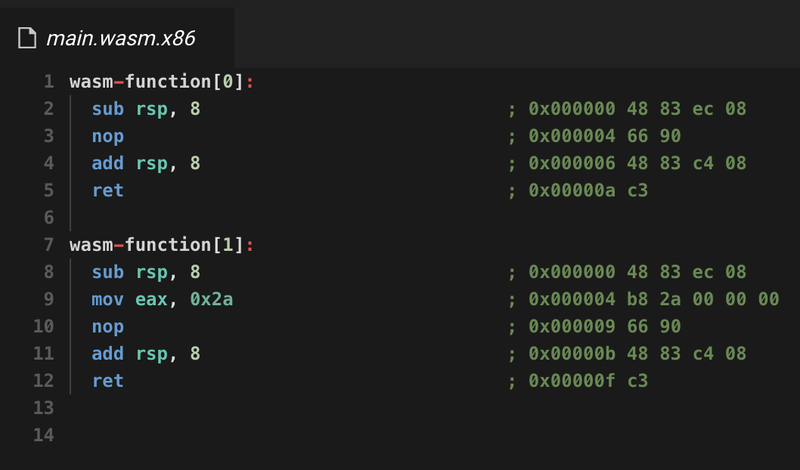 Optimize runs several Binaryen optimization passes over a WebAssembly module. Disassemble uses Wabt to convert the file to WebAssembly text format. This can then be edited and reassembled back into a WebAssembly file. Binary Explorer helps you understand how WebAssembly code is represented at a binary level. Generate Call Graph plots the caller/callee relationships between functions (including imports and exports) to help you understand what’s included in a WebAssembly module. Some of the features in WebAssembly Studio need hosted back-end services (compilation), but many others run directly in the browser. Binaryen, Wabt, Capstone.js are all compiled to WebAssembly and run in the browser. This has the added benefit that we can scale much more easily, with less load on the server. … that’s right, Clang Format is also compiled to WebAssembly, runs locally, and works great. Want to learn more or get more involved in this project? Please share feedback, file issues, and add feature requests on the WebAssembly Studio GitHub repo. If you want to get more involved with WebAssembly check out the main repo to learn more about the project and its infrastructure.